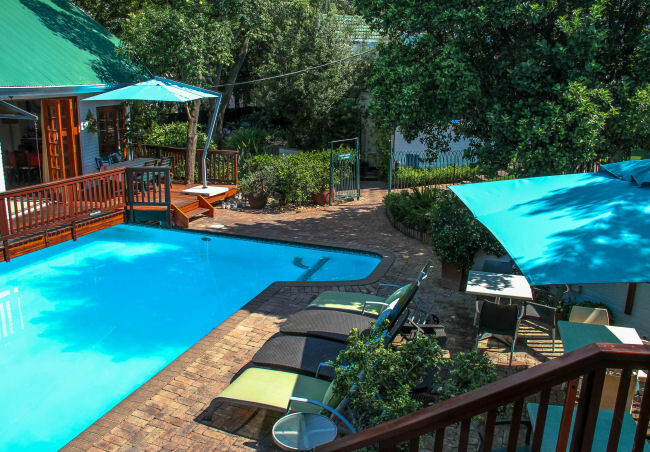 Our charming, country-style guest house is situated in a quiet residential suburb, within a security area. Fifty attractive, well-equipped rooms and family-units, each with its own entrance and patio, lead onto a large rambling garden. 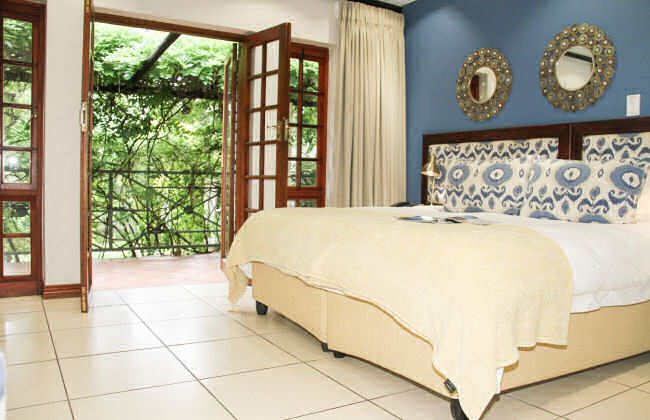 For business or leisure guests, on a long stay or short, Rivonia B&B offers a great alternative to a hotel. Our accommodation is ideally suited for tourist, wedding, student and business function groups. 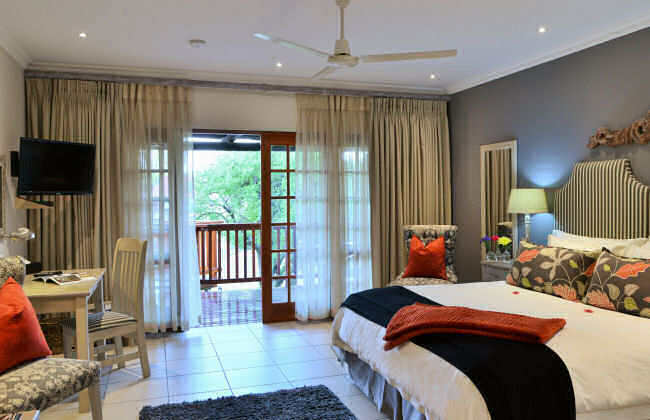 Our guest house has a range of price points depending on room type and length of stay. Our breakfasts are legendary. A health-food buffet and a cooked-to-order menu await you; all served by the pool. We serve delectable a la Carte dinners Mondays thru’ Thursdays - by arrangement. Check out the menu! 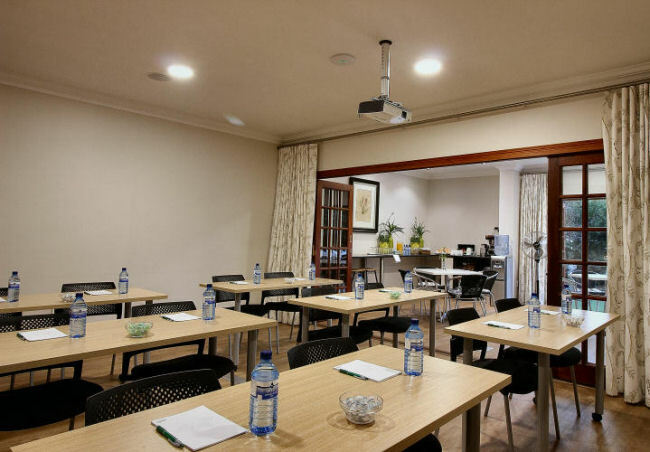 Our state-of-the art Business Centre, in lush garden surrounds, is ideal for strategizing, presentations, conferences and training sessions (up to 22 pax). 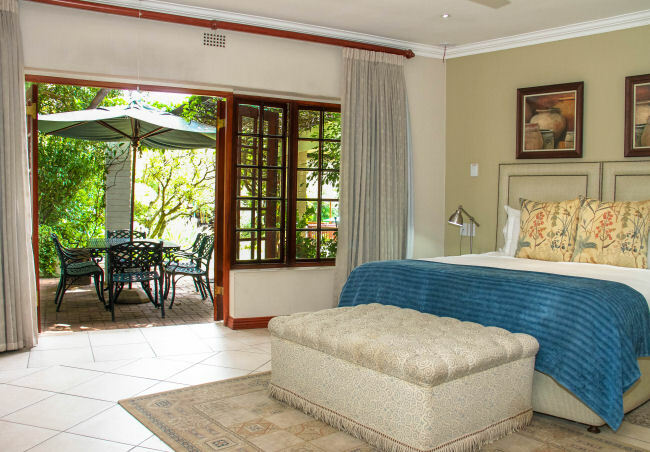 Rivonia B&B’s offers easy access to all major highways. The Rivonia N1 motorway interchange is 1 km away and links to the N3 and M1. Our location is central to Sunninghill, Bryanston, Fourways, Woodmead, Randburg, Waterfall Estate and Linbro Park. Near to Sandton City (7kms) the Mall of Africa (6kms) and Woodmead Retail Park (5km), we are within comfortable driving distance of Nelson Mandela Square (7kms), the Sandton Convention Centre (7kms), Gallagher Estate (12km), Montecasino (8.2), the Barnyard Theatre (2.6km) as well as hospitals including Netcare Sunninghill (2.1kms) and Morningside MediClinic (6.4kms). Transfers available. Take a walk or a short drive up to the Rivonia shopping centre (1.5kms) with its numerous restaurants, coffee shops, a small private gym, a spa and all the major banks. Our shuttle will transport you for free within the suburb of Rivonia (depending on availability). Our Front Desk is up to date with the exciting events happening in and around Johannesburg. We can recommend sight-seeing trips and reputable tourism service-providers. 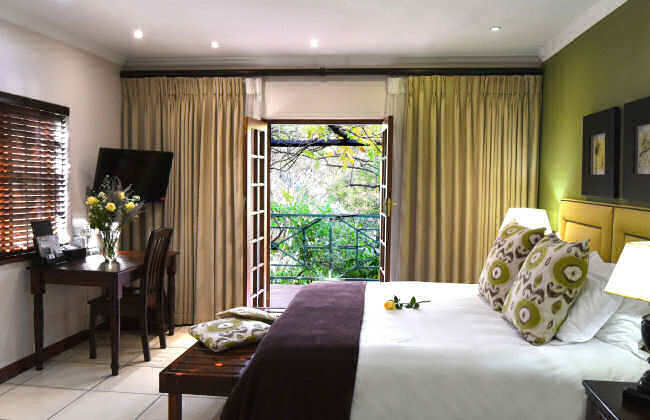 We are here to offer excellent service and to ensure that your stay in Sandton is a truly memorable one. 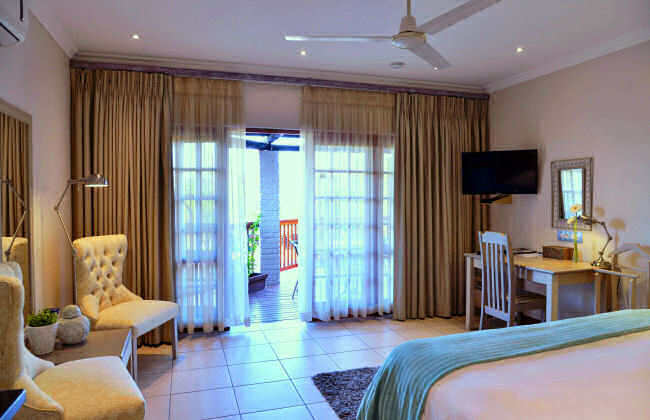 Find out more about our accommodation specials and packages. 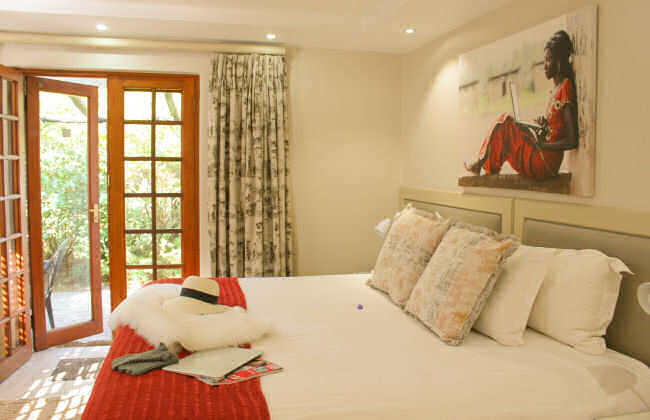 Superior, Luxury and Standard rooms, some self-catering, are individually decorated, each with its own entrance leading out to the garden. Our Family Units are ideal for small groups travelling together. A gem and one to tell the family about! 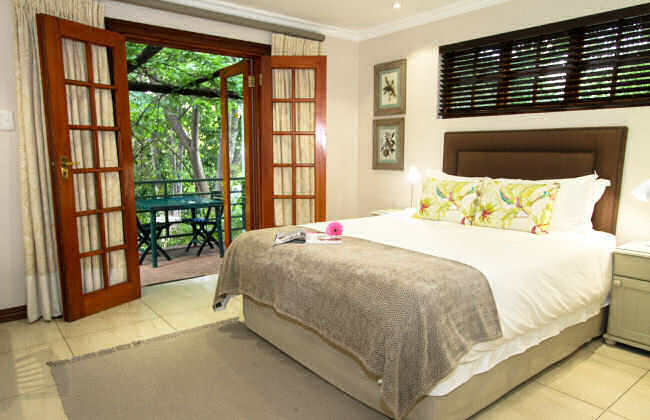 Efficient and friendly staff with comfortable and spacious rooms set in a magnificent garden. 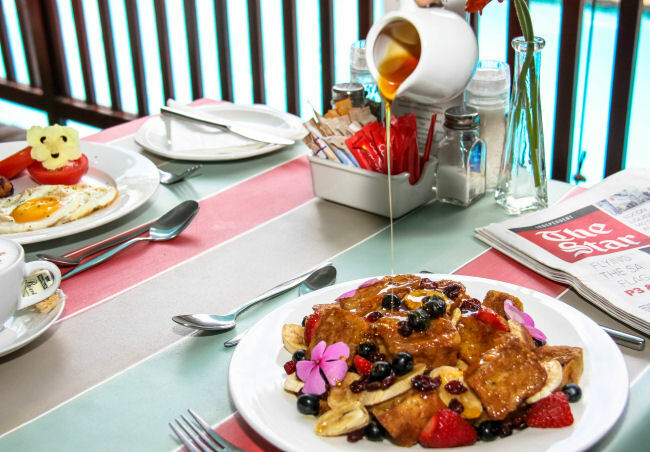 Breakfast menu is extensive and the food is excellent. Centrally situated in a security controlled suburb. Professional and friendly staff - 5stars for the driver and reception. Super helpful with any request, and they facilitated a great day trip to Pilansberg NP. Will definitely make use of them again. Spacious room.